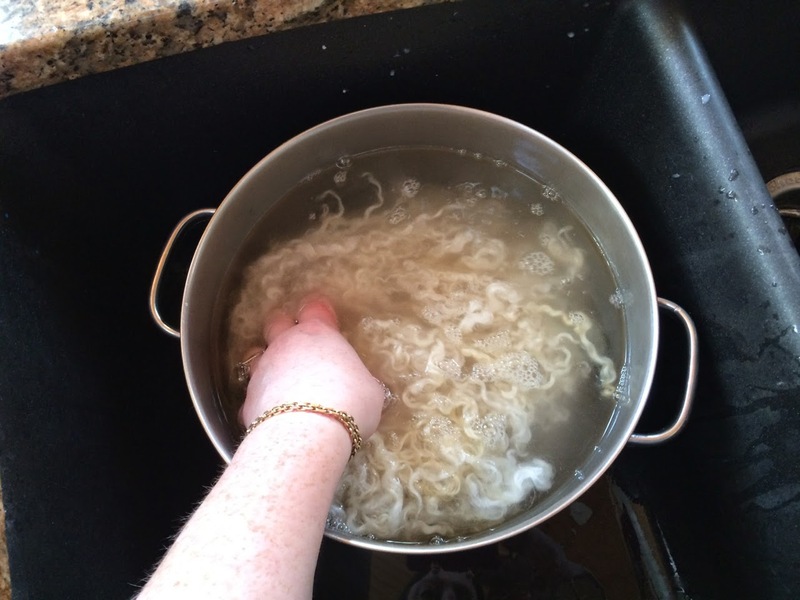 Washing wool is one of my favorite activities! Yes, seriously. 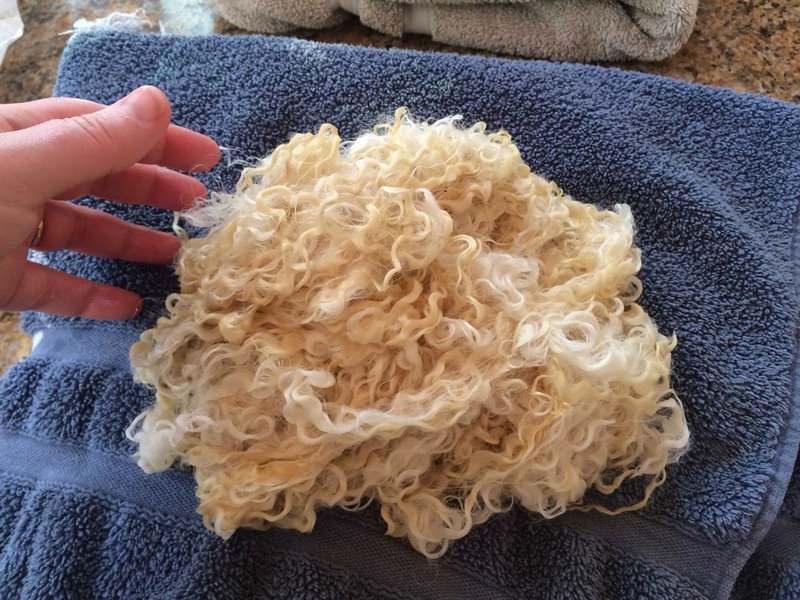 I opened up a Wensleydale fleece that I had in my closet yesterday, and I decided to take photos of my washing method. I've posted a bit before about how I wash lock by lock, but this method is different (and easier). 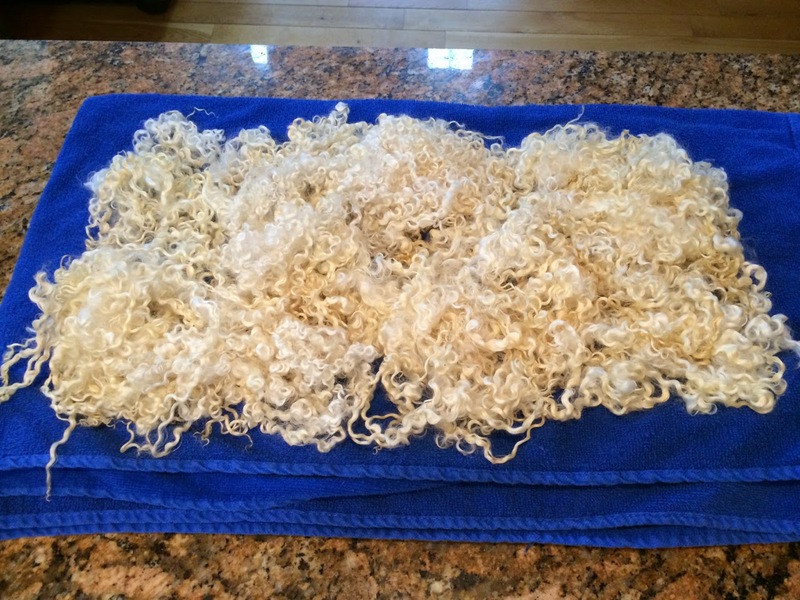 This is how I wash curly wool for corespinning, when I don't need to preserve individual locks but don't want to interfere with the curls. 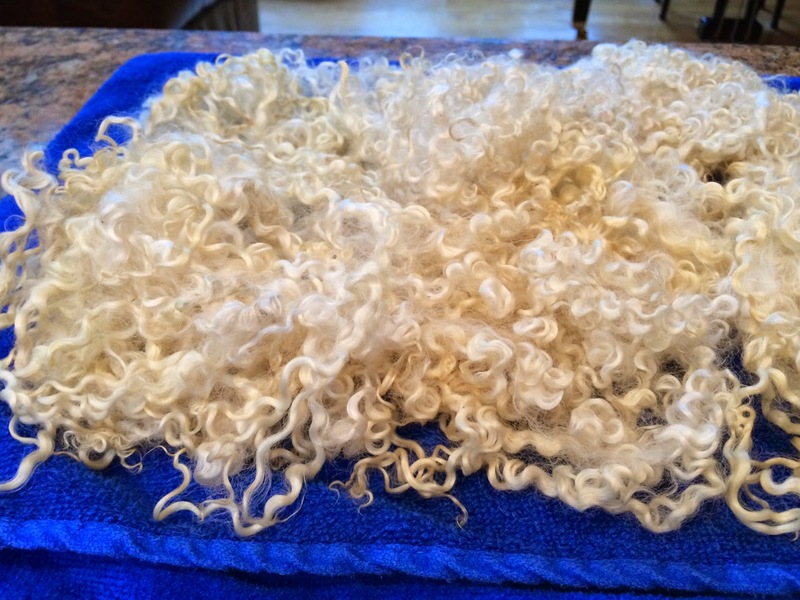 These platinum blonde locks will make a delightful yarn. I could have used a stronger detergent to get all the yellow out, but I wanted to keep this warm in color. First, a before and after shot. This is my favorite pot for washing fleece. It's big enough to wash a bit of wool, but small enough to fit in my sink, and, most importantly, light weight enough for me to carry outside (more on that later) easily. 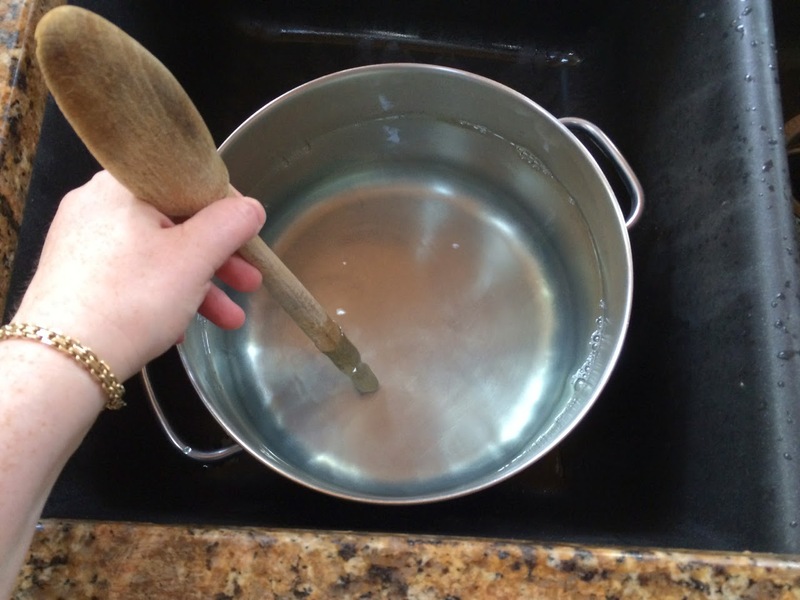 I turned the faucet on as hot as it would go and filled the pot about three quarters full. I squirted in a bit of Dawn blue liquid. 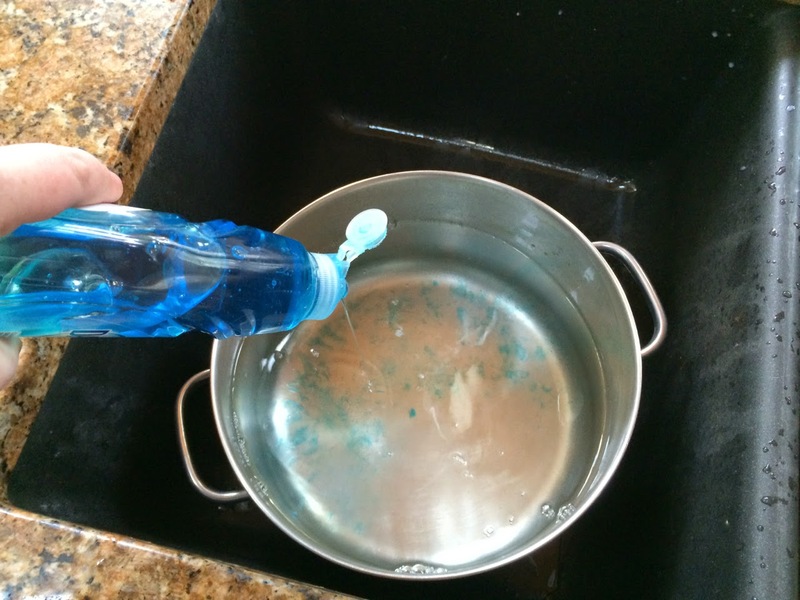 I stirred gently to integrate the soap without making bubbles. 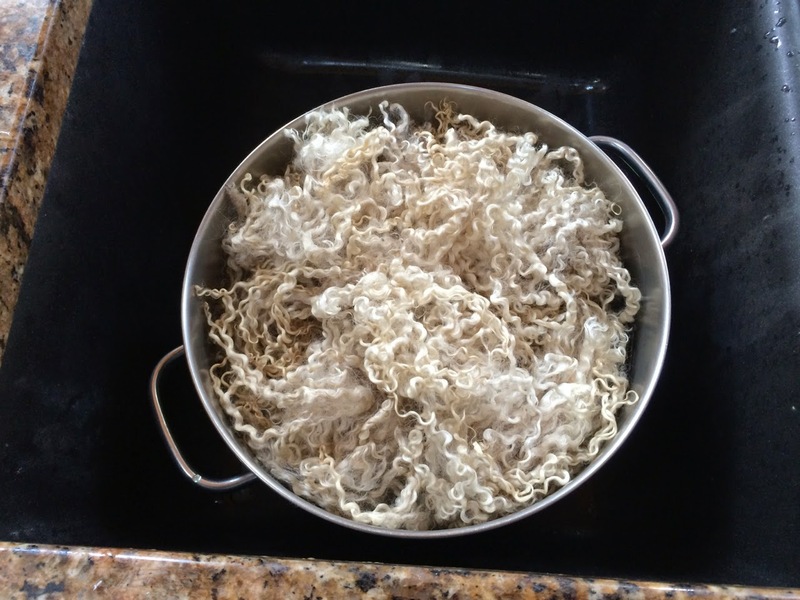 I placed the selected clump of fleece in the pot. It started to go into the hot soapy water by itself and then I pushed it in gently with my hand. I let it soak for several minutes. 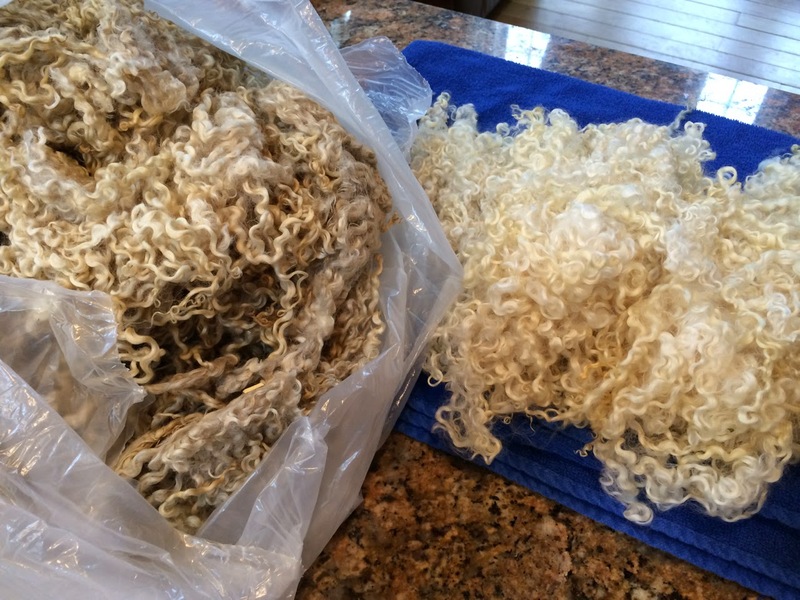 I moved the wool very gently to allow the lanolin to seep away from it. 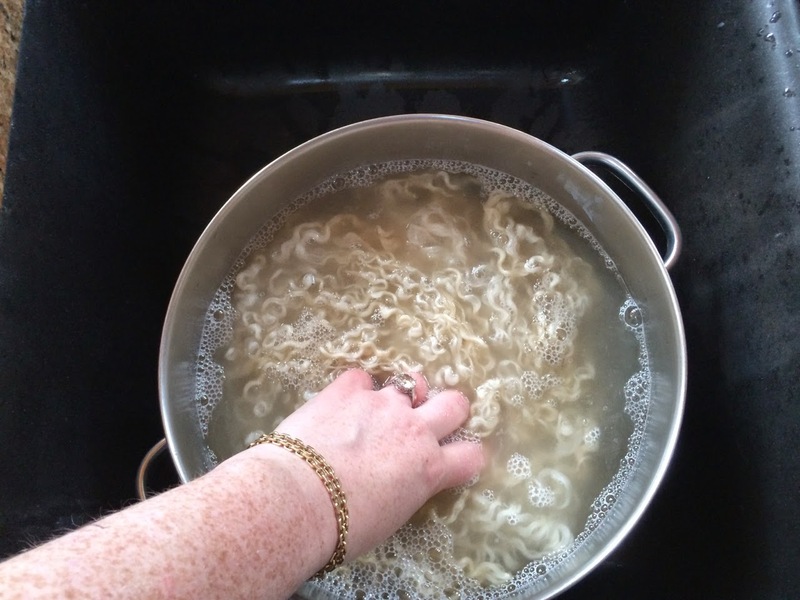 I reached my hands in under the wool and lifted it out in one clump, setting it in the sink next to the pot. I carried the pot outside and poured out the liquid. 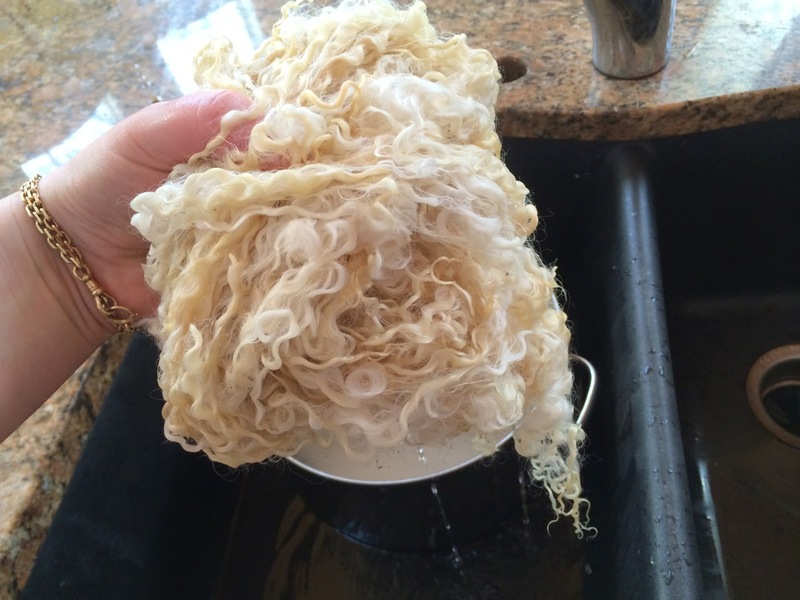 Lanolin won't hurt the grass, but it would clog the pipes! 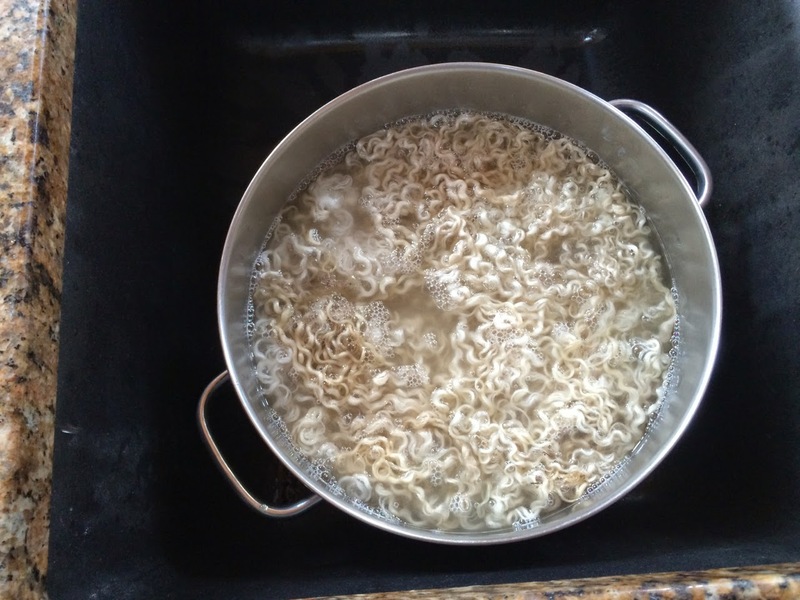 I filled it up again with hot water. 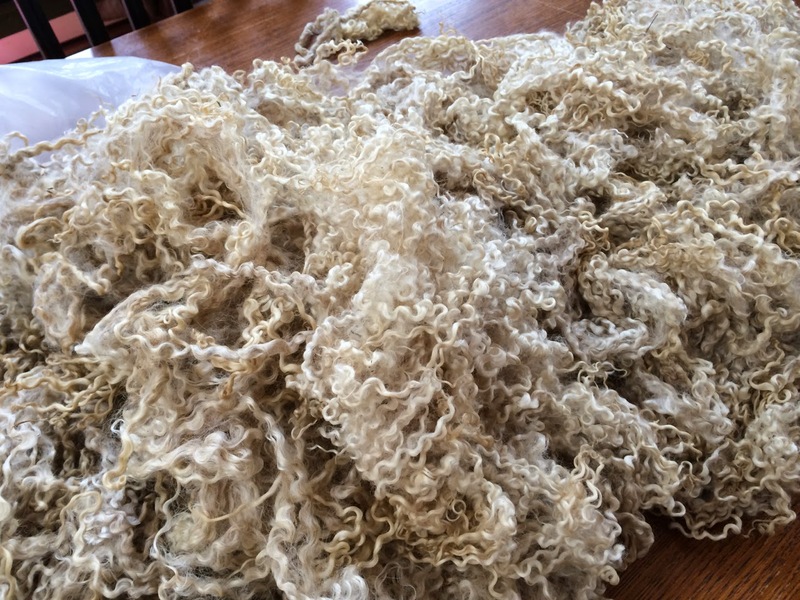 I put the wool in and swished it around gently to rinse. 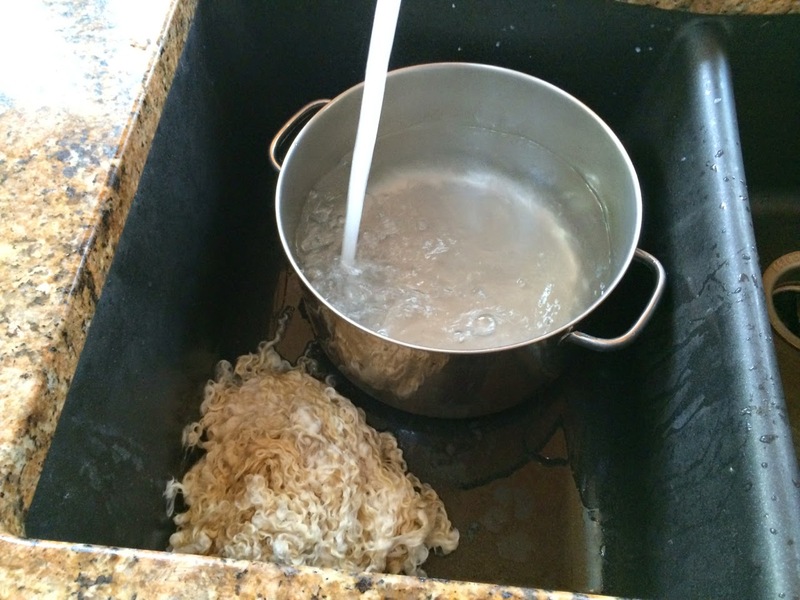 After taking out the wool again and dumping the water outside again, I gave it one more rinse. This was clean enough for me. 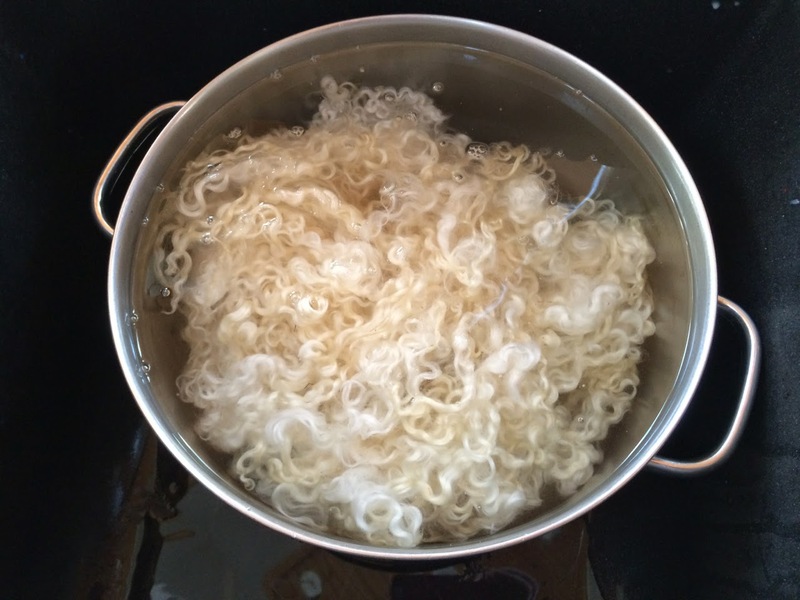 I lifted the wool out of the pot and allowed it to drip for 10-15 seconds. I put the clump of wool on a folded towel WITHOUT SQUEEZING AT ALL. 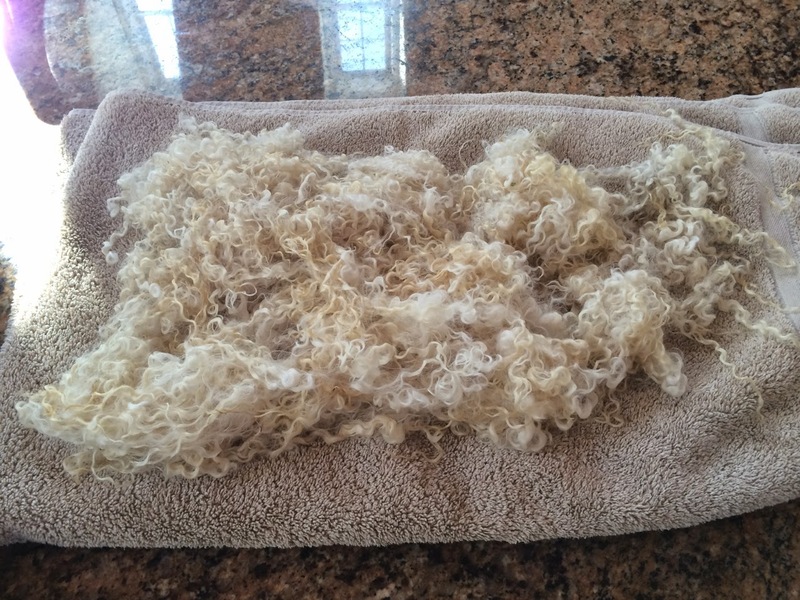 After about 20 minutes, the towel was soaking wet and the wool was just damp. 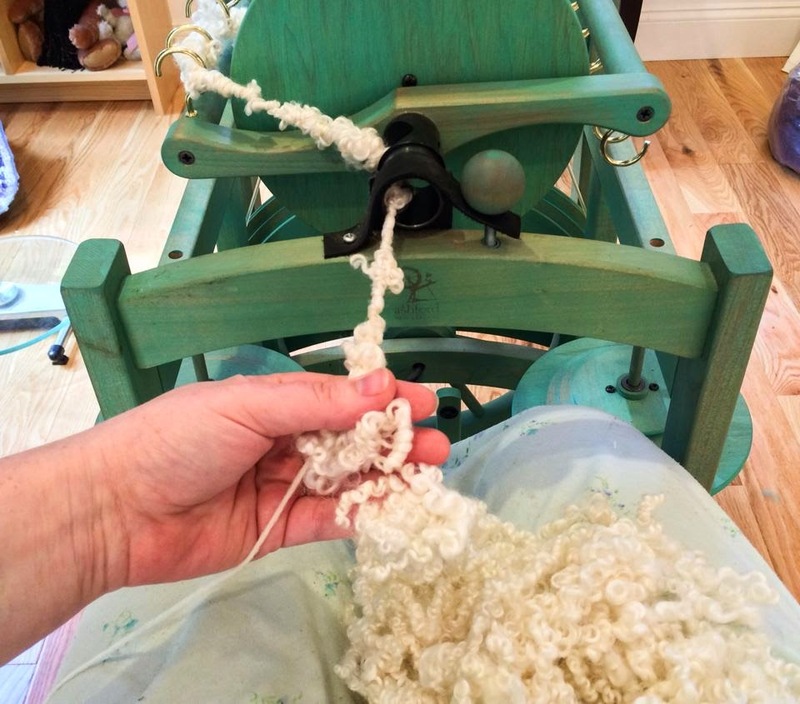 I transferred the wool to a new towel and spread it out gently. I turned it over every couple of hours and allowed it to dry over night. 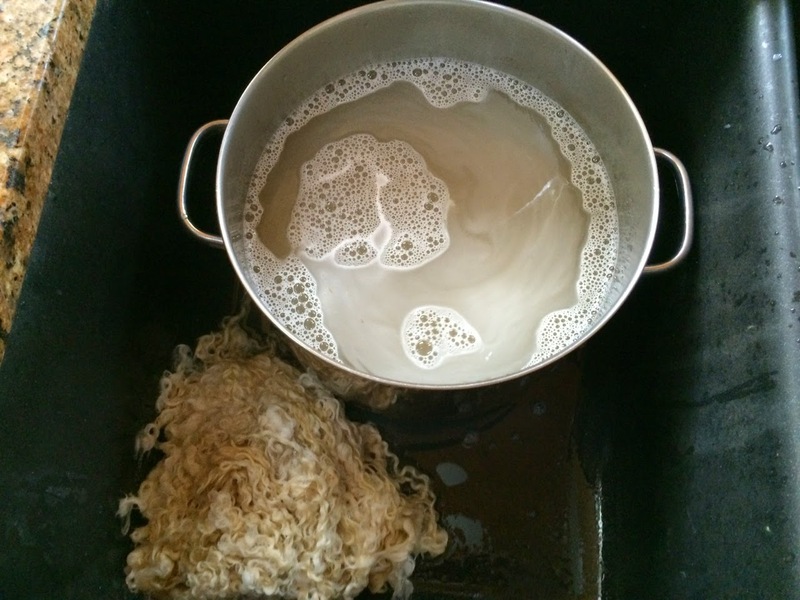 In the morning I transferred the almost dry wool to a new towel. 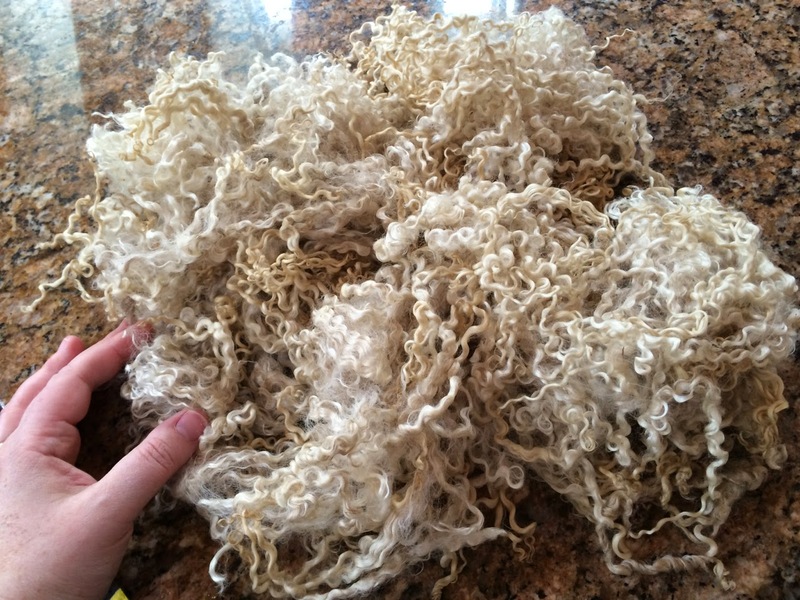 Here's the LOVELY (almost) dry wool. I could have used a more intense detergent if I wanted it whiter, and I could dye it at this point, but I love the warm shade of ivory.